Whether you are suffering from crippling Generalized Anxiety, Relationship Problems, Panic Attacks, Depression, Adrenal Fatigue, PTSD, Agoraphobia or an Energy Disorder, you can take back control of your physical and emotional wellbeing; be kind to yourself. Give your sympathetic nervous system a break... your adrenal gland, hypothalamus and amygdala will thank you for it! These music tracks were specifically composed and produced for empaths, highly sensitive people with a high emotional intelligence and those suffering from ill-health, to help find the inner strength to battle through difficult and traumatic situations. The following MP3 music tracks are available to purchase via PayPal - an automated e-mail containing download details will be sent on completion of your payment. Thousands of people have enjoyed and psychologically benefitted from this relaxing music. Make sure you experience the full length of these music tracks to benefit. When listening, it's a good idea to turn off your phone so you're not distracted. Remember, this is about you - it's 'your' time. Sit down (or lie down), close your eyes, take a few deep breaths and concentrate on this beautiful music to clear your mind. Boost your mental health, be who you want to be, promote inner peace and heal your soul. Enjoy! Add this calming and relaxing new age instrumental music to your music collection and allow yourself some time to slow down; reduce stress and anxiety with this soothing, relaxing music. "this just helped me with some non-stop belching i've had for almost a year now?..every time i play this it stops but every time i stop playing it it comes back :-( but nevertheless at least i found a temporary way to briefly stop it thanks :-)"
"I recently got some nasty online hate and I have quite a bit of homework?? This seriously helped me to relax. Thank you. 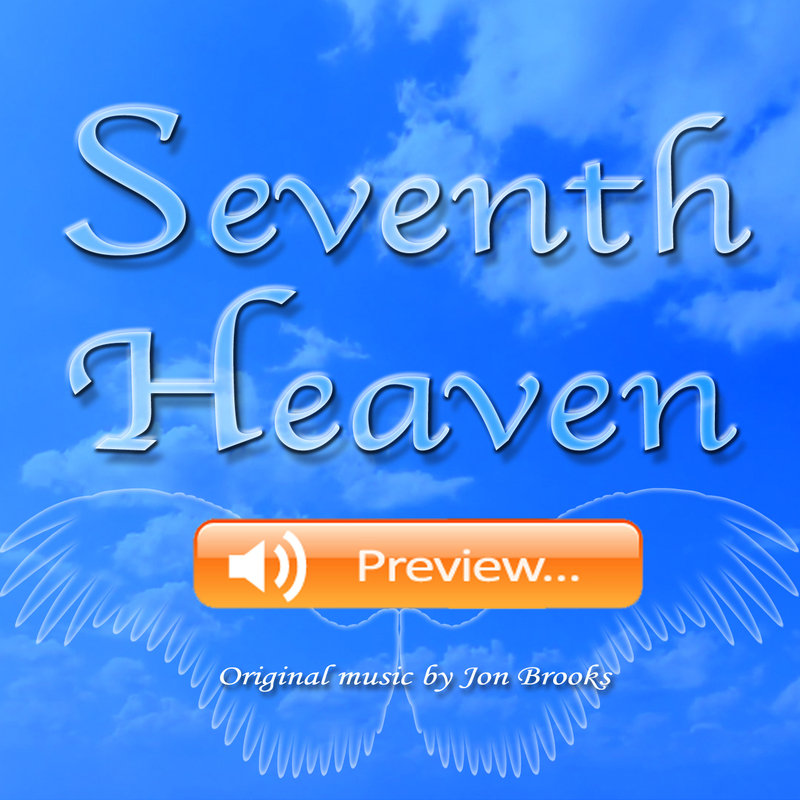 :)"
Beautiful, slow and calming instrumental music. 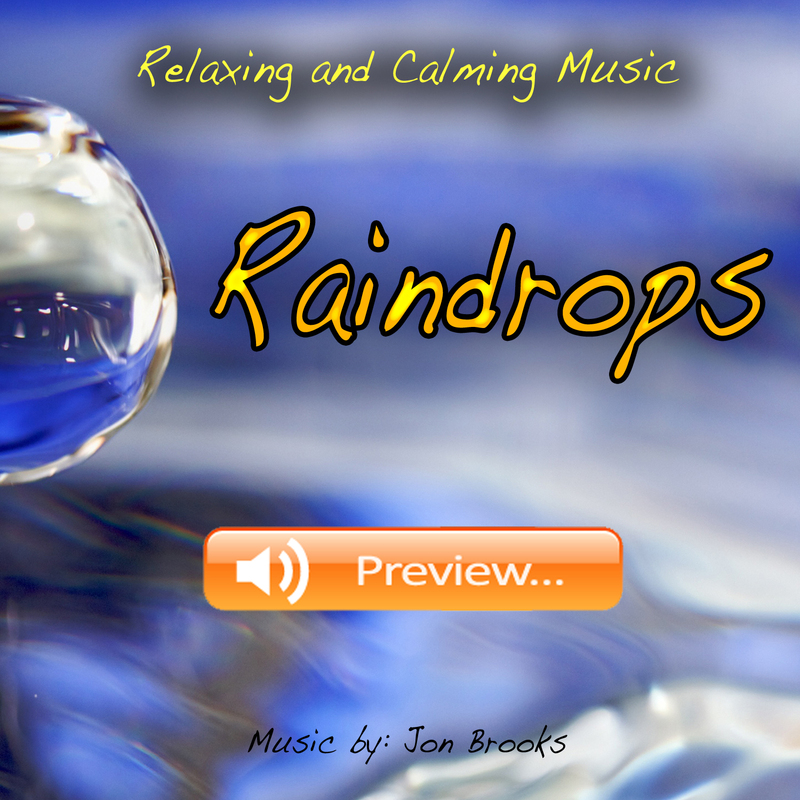 "Raindrops" is one of the latest tracks produced by Jon Brooks for Healing, CFS, Anxiety, Yoga, Mindfulness, Reiki, Massage, Stress, Reflexology, Sleep Disorders and other relaxation techniques. Give yourself some 'time out' - your body and mind deserve it. The tempo and mood of the music is designed to encourage your breathing and heart rate to slow down. Listen with headphones on for the most beneficial recovery. Make sure you experience the whole music track and turn off your phone so you're not distracted. Get comfortable, sit down (or lie down), close your eyes, take a few deep breaths and allow this beautiful instrumental music boost your physical and emotional health. You can be who you want to be, promote inner peace and heal your soul. Enjoy! "I would listen to this at work and it just makes things better." "Wow! Jon, this is awesome! Some of your best work (in my humble opinion)!" "Jon- This was just what I needed today. I'm putting this on my mp3 player"
"Helps me relax. Thank you very much."